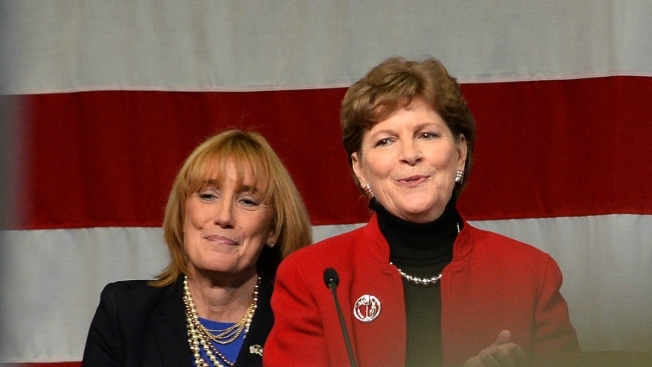 Maggie Hassan, left, and Jeanne Shaheen. New Hampshire's Democratic U.S. senators say the health care overhaul passed by the U.S. House would take a "wrecking ball" to the state's ability to fight the opioid crisis. Sens. Jeanne Shaheen and Maggie Hassan spoke out against the Republican-backed legislation Monday, alongside advocates for mental health, substance abuse and hospitals. The health care bill has made it through the U.S. House of Representatives but is likely to face significant challenges in the Senate. Shaheen and Hassan say they've yet to speak with their Republican colleagues about the bill and instead want to see improvements made to former President Barack Obama's health care law. The House bill could jeopardize substance abuse treatment coverage for thousands of people. New Hampshire has one of the nation's highest number of overdoses per capita.